You must make reservations at least 5 minutes in advance of the time at Miyako Japanese Restaurant. Dinner $4 for every 2 hours. Banquet $5 for every 3 hours. Private and intimate dining. Waikiki View room available for small intimate gatherings of 16-18 people and room rental applies. We also offer The Imperial Ballroom, with the Western style of seating and was designed from Kyoto's Nijo Castle. It can seat 100 guests or be partitioned for smaller parties of 8 - 20 guests. 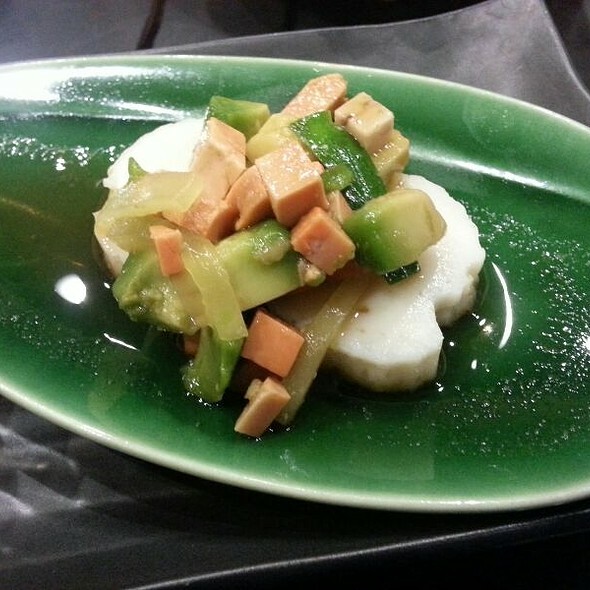 Japanese Restaurant offering a wide array of authentic Japanese Cuisine. 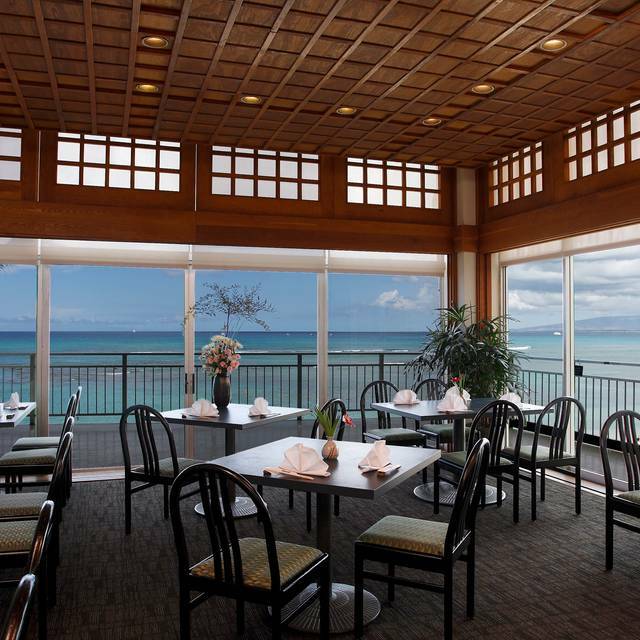 Located on the second floor of the beach front New Otani Hotel, guests may choose between a Western style seating, outdoor lanai, and cabana seating, all featuring panoramic views overlooking the Pacific Ocean and Waikiki Beach. 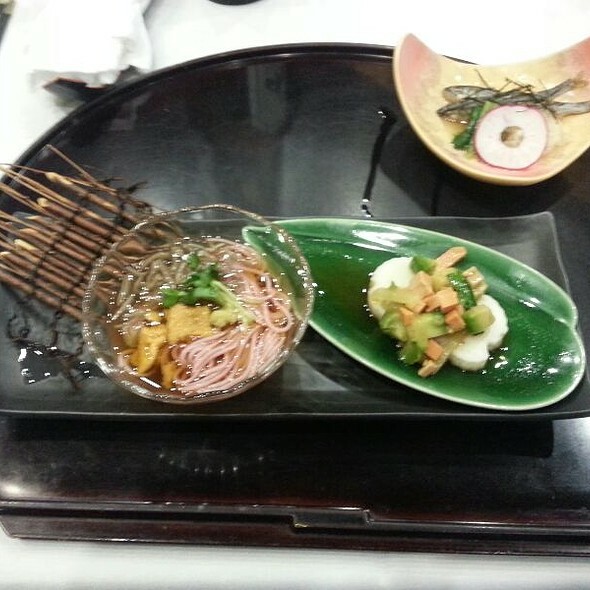 Available are our signature monthly Kaiseki prepared by our Executive Chef Kuroda. Sashimi sparkled. Exquisite service. Butterfish was good. Great food. Beautifully presented; liked our waitress describing each course as she brought it. Excellent service by host and waitress, but male server of water and clearing dishes was abrupt speaking and impatient. 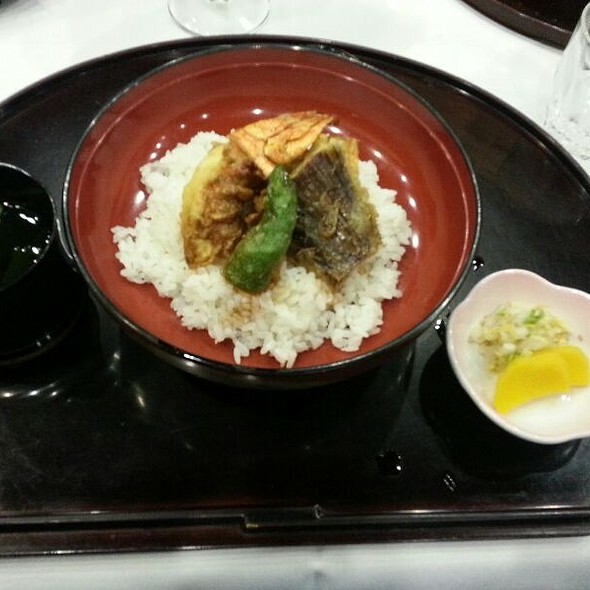 The quality of food is still great, but the portions have decreased, as the price has increased. Always the place to go for great traditional Japanese cuisine . The view of the ocean , beach and sunsets are very relaxing. 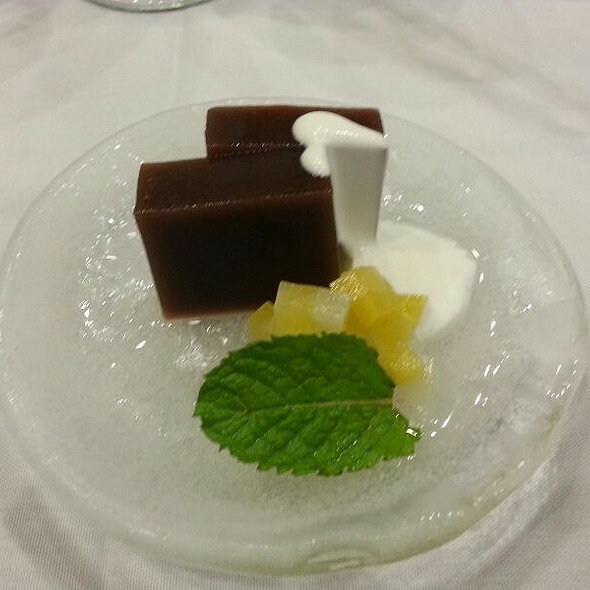 The service is outstanding and the waitress are always pleasant and informative. 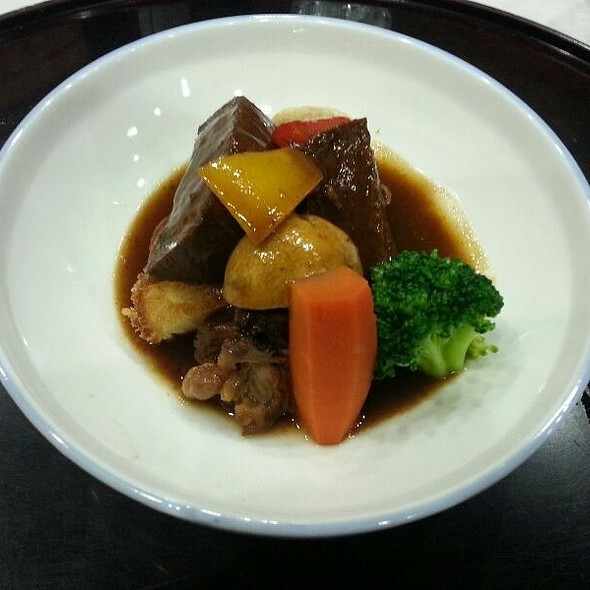 Try the Wagyu sukiyaki, the meat is very tender ! A place to go outside of the very busy Waikiki. A belated birthday for my husband and Valentines Day dinner. The table was on the lanai.. spectacular!! Thank you all for the superb service, sublime dishes and a overall memorable experience! If I could give you more than 5, I would !! Thank you all for your wonderful gift last night. Excellent as always! Our favorite place for Japanese Cuisine. Steak Don is a must try. and not really helpful. Our dinners came out at different times which is unacceptable for a fine restaurant. Japanese style service with Kimonos! Unique in Honolulu. The view from this beach front 2nd floor small homely restaurant is terrific: right out at the ocean! Food is a menue and of good quality. Very formal. Extremely well done service. Excellent food. This was our 2nd time to dine here. Service and food was excellent. The food was good, the service was fair, the only reason I say it was fair is there was a language barrier. I would expect that in another country, such as Japan. However, I don’t think the expectation of your server at an upscale Japanese restaurant speaks good English is too much to ask. Take it for what it is, a fair dining experience. The menu online at OpenTable including pricing is NOT accurate. When we told them we specifically booked based on the online menu and pricing they said “a third party must have posted that old menu”, and we responded that it was the restaurant responsibility to ensure accurate information was present, and that clearly the restaurant did receive our reservation, so the restaurant clearly had access to and knew what was online for menu and pricing. We did not appreciate the line they told us, and nor did they do anything to make it right. Valet parking required in the hotel lot or street parking if you can find it. Lobster was tempura then butter soaked so it was soggy. Wagyu is American wagyu so was more like skirt steak - would have appreciated knowing this before going. starter of ahi tuna was clearly pre-cut hours before and kept in fridge as it was dry. Housemade tofu with dashi was delicious, as was tempura veg. wine list is limited. dress code is very casual to business casual. would unfortunately not go back. As usual, our server and the overall service was at the highest level, even though they were fully booked. The wagyu shabu shabu was outstanding. Ive been here before and I was disappointed with the service the second time. Food was just okay. The location is good and the view from the restaurant is very beautiful. We would like to have dinner again. This was such a great find! The food was exceptional and the service divine. Our server was so helpful and suggested several dishes. We picked the Chefs Special menu and it was so good and fun. Not only was it delicious but beautiful to look at! We sat outside in a special cabana like dining area and with the warm balmy air it was like we were in another world. We liked the sake and next time we will try the flight. Miyako is hidden on the 2nd Fl of The New Otani Hotel. This was our 1st time here, went for restaurant week, however, ended up ordering Miyako Chef’s Choice, only $57 and the Miyako Prix Fixe Dinner w/Butterfish. We were not disappointed. Everything was delicious. Our waitress Pearl was outstanding, she explained the various menus items and each dish as she presented to the table. The authentic kimono’s worn by the waitress’s and decor gave the ambiance a real Japanese feel. This will be our new “go to” Japanese restaurant. Delicious food, helpful and friendly wait staff, great views. Thoroughly enjoyed the dining experience. The food was good, not great. Was terribly disappointed that their 15% discount for birthdays that they advertise was not adhered to. They said they don't given ANY discounts on holidays, and Veteran's Day is a holiday. If they had informed us of this earlier, we would have changed the reservation date. Anyhow, the cabana is nice and if you want privacy, you should request one. The service from Pearl was exceptional, as usual. The dinner set had two new and outstanding items: Dobinmushi soup in an iron teapot (just like for the matsutake dinner set) and a matsutake ice cream desert. Great view! Very small and they wore traditional outfits. Not busy as it was outside of Waikiki. Decently priced, overall great experience. Superb food - authentic and fresh - served by knowledgeable staff. Nice and quiet and a lovely setting. Will be back. The staff was amazing, very accomodating ! Food was amazing! Most beautiful sunset from gold coast Hawaii! 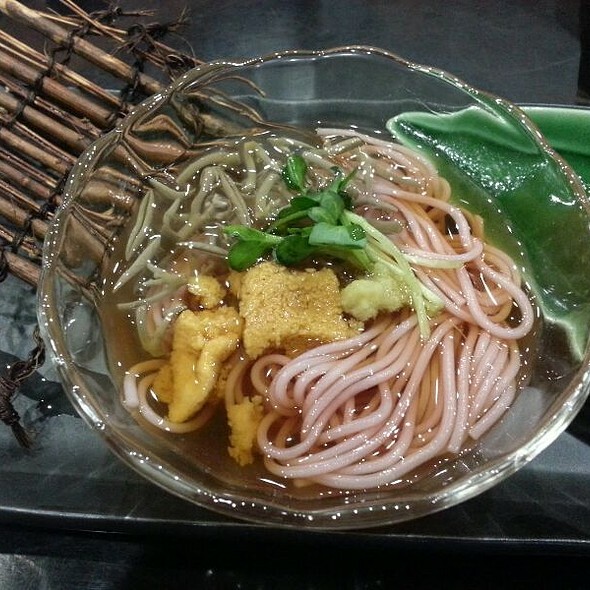 Very much Japanese tradition seasonal food. Japanese food fun should learn this kind of food if they don’t know. Miyako was a HUGE disappointment. It's sad to say, but the nicest part of the evening was the parking valet who was so gracious, kind and helpful with my mother who was in a wheel char. Although we don't expect constant attention, the head server for our table wasn't very attentive at all. She wasn't outright rude, but didn't smile much, wasn't friendly or caring and hardly spent time at our table. By contrast the other assistants were very friendly and cheerful. We wish they had been our servers. Two of us ordered sukiyaki which nearly burned in the pot. We added more broth to keep it from burning and started to add other ingredients when she finally came to finish, but she seemed upset at us and quickly took over. We all agreed that she probably forgot about us and the sukiyaki. Everyone got their dinner at different times. One person's entree came so far ahead of the rest of us that she was finished when the rest of us started to get ours. We encouraged her to eat because she had steak. None of the other entrees arrived together either. We were so disappointed in the quality of the food we received because we paid an exorbitant price for AVERAGE food. We've had better at cheaper restaurants. It was a very embarrassing, disappointing evening because we were hosting out-of-town guests. Needless to say, we will not have dinner here again or recommend Miyako to others. 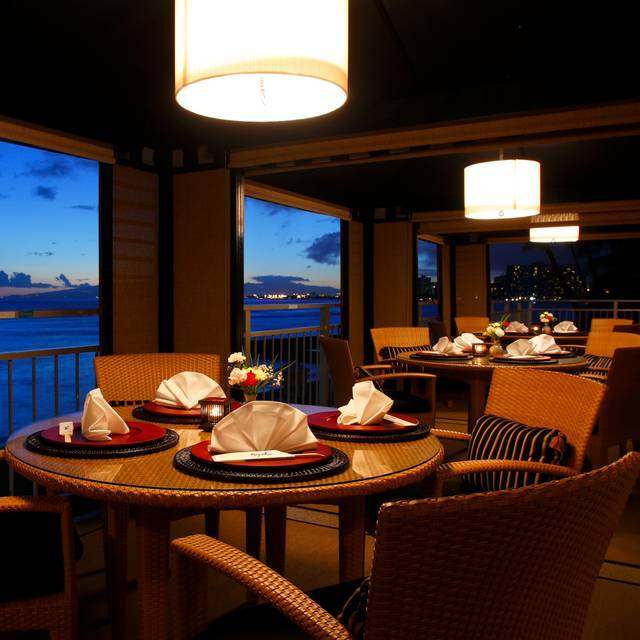 My favorite Japanese restaurant in Wakiki with a great view! Was disappointed in the Chef's suggested prix fixe meal. 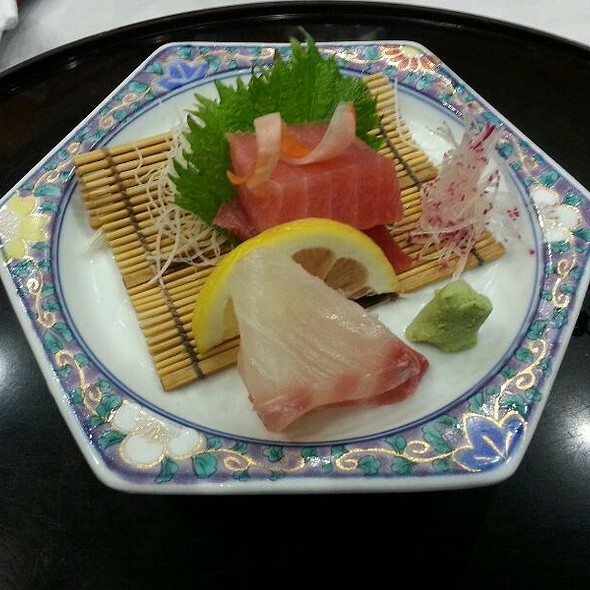 Cuts of sashimi were poor and chunks, rather than nicely sliced. Too much grisle in the steak portion of the meal. First time I couldn't give a 5 star rating. Too bad. Great food and especially friendly and thoughtful service. Decided to go to Miyako restaurant to celebrate my mom’s belated birthday. Arrived at Miyako restaurant 45 mins before our reservation. Asked if they could seat us. No problem. We could be seated. Our waitress dressed in kimono attire was so welcoming & made us comfortable. The food was so delicious and the service was excellent. Would come and dine again. Afternoon sun was strong, needed stronger air conditioning.